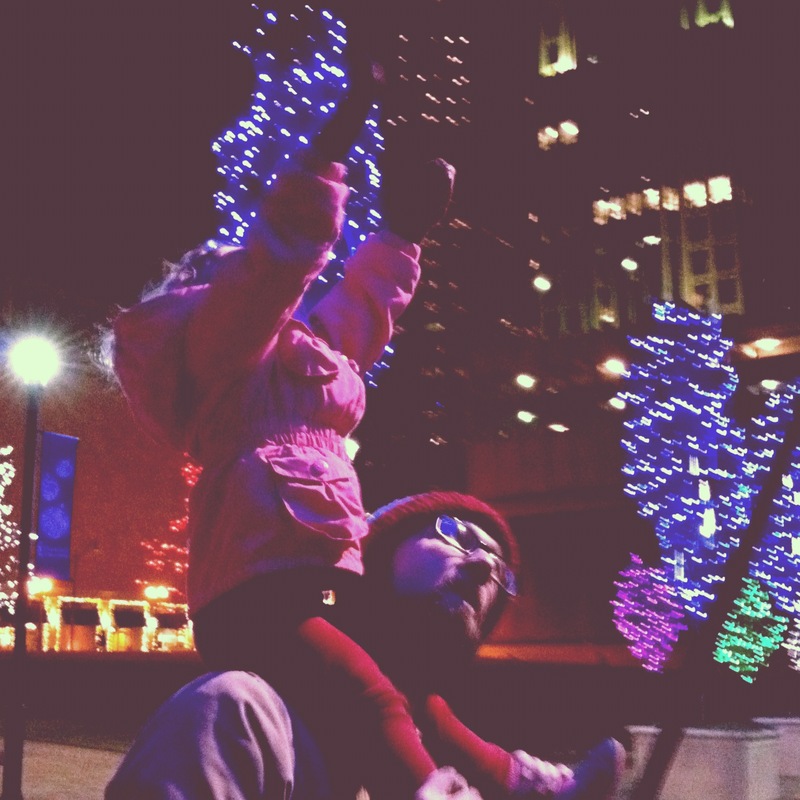 we took darla over to the columbus commons light display last night. 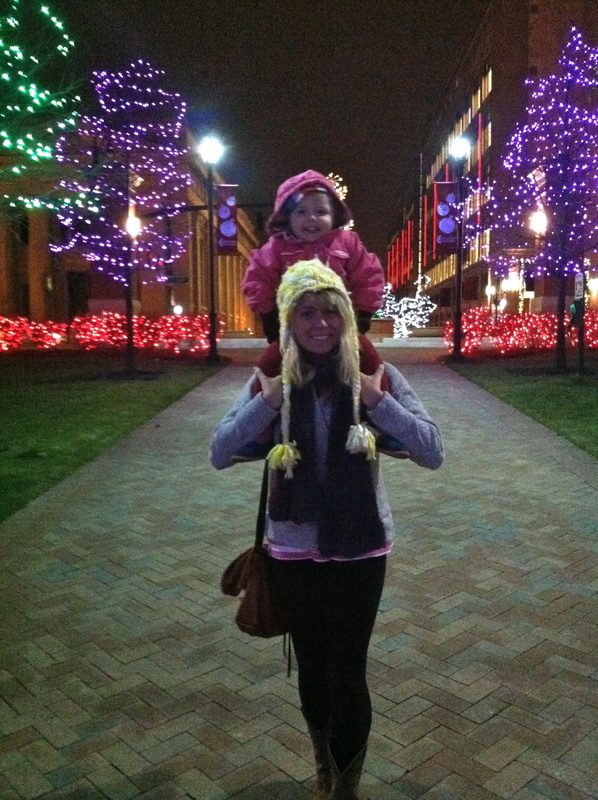 just a short little trip to run around some lighted trees. the bonus action came when we saw a poster advertising a family fun fair there this weekend. WHO’S IN? food trucks, santa’s workshop, christmas carousel and fireworks. I SAID FIREWORKS.